The Furman Faculty Chamber Music Series will present a concert Wednesday, Nov. 7, at 8 p.m. in Daniel Recital Hall on campus. Guests will have an opportunity to meet and talk with the performers at the post-recital reception hosted by the sisters of Sigma Alpha Iota. 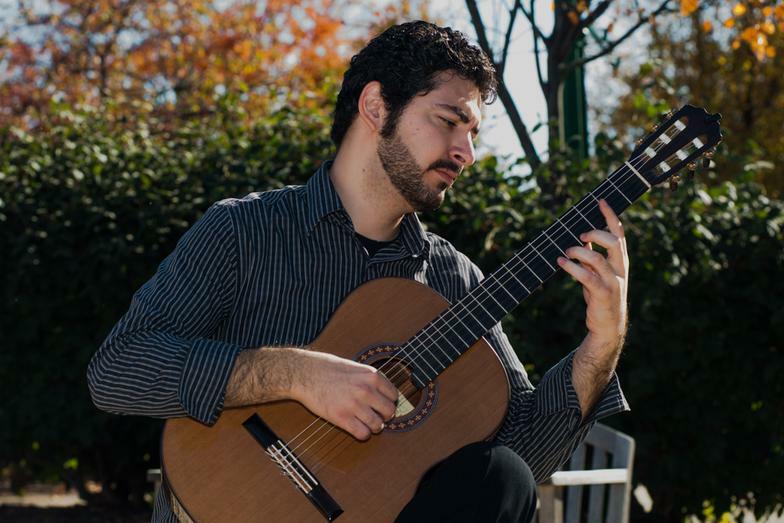 For the 90-minute recital, faculty members will perform a diverse program of music for small ensembles including works by Benjamin Britten, Sergei Rachmaninoff, Walter Hartley, Paulo Bellinatti, Gustav Mahler and Astor Piazzolla. Faculty musicians include Furman’s Silviu Ciulei (guitar); David Gross (piano); Christopher Hutton (violoncello); Deirdre Hutton (violin); Cecilia Kang (clarinet); Grant Knox (tenor); Daniel Koppelman (piano); Gary Malvern (trumpet); Ruth Neville (piano); Derek Parsons (piano); Dewitt Tipton (piano); Alison Trainer (soprano); and Anneka Zuehlke (horn). For more information about the event, contact the Furman Music Office at 864-294-2086, and Furman.Music@furman.edu. Tickets may be ordered online, or may be purchased by calling the music office.